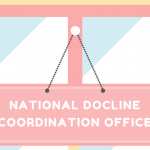 DOCLINE libraries are invited to use the all-new DOCLINE to familiarize themselves with the website before Borrowing and Lending end in the legacy DOCLINE in early 2019. Users can review and update their library profile information, including Lending offerings and Borrowing settings. Users are urged to review and update their Journal Holdings records to ensure accurate request routing in the future, after requesting ends in the legacy system. Thoughts on "DOCLINE 6.0 is NOW ONLINE!"